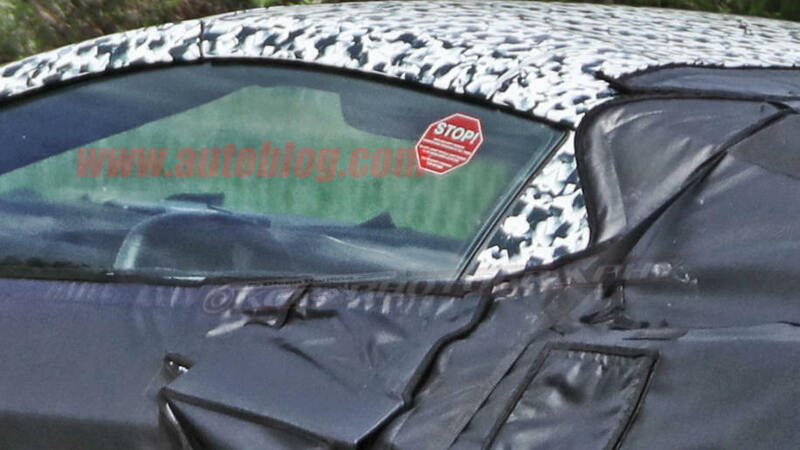 Still under heavy camouflage, the mid-engine Chevy Corvette C8 has once again been spotted, but this time it was caught testing on public Michigan roads by GM Authority photographers instead of the usual fenced off proving grounds. What’s more, the Corvette was part of a test group that consists of two C7 Corvettes and a Porsche 911 Carrera S, the latter most likely being used as a benchmark vehicle. There really isn’t anything visually new with this test mule. Everything that’s pictured, we’ve seen before including the rear diffuser, exhaust tips and side skirts. This doesn’t come as a surprise since the frequency of sightings are increasing and the prototypes seem production ready. 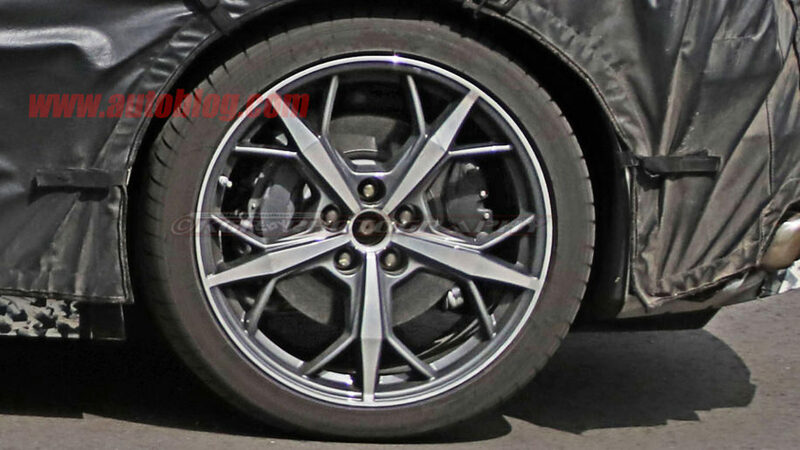 Speaking of production, the wheels on these test mules may be what we’ll see at dealerships as the matte black rims were spotted on a prototype back in February alongside a flashier dual-tone set. Everything else about the mid-engine Corvette C8 is still under wraps and fans will have to wait for its expected 2019 debut to find out more about Chevy’s powertrain offerings. There are speculations of a naturally aspirated version of the outgoing LT1 pushrod engine and a new 6.2-liter dual-overhead cam V8. There were also rumors of 5.5-liter and 4.2-liter engine offerings, but we can’t be sure until the actual reveal takes place. We've seen these tires before alongside the dual tone set, nothing really new here. With how frequent we're seeing the Corvette now, I'm expecting to see a barely concealed one roaming around soon. Really don’t know what all the secrecy is about. Seems like every YouTube clip that goes up about a test mule, is taken down mere hours later. There are some new spy photos that just surfaced however, and they do seem to indicate some new information. First it looks like the steering wheel will feature a flat top, similar to what's seen in race cars. Also a close up shot of tires seems to indicate a set of calipers on the rear wheels. Those are some pretty small calipers or they just don't stand out as much compare to the brighter Brembo brakes I'm used to seeing. its not that bad if you consider the fact this could come out in a range of trims. to sustain the model with mass sales that would be required. Yeah I'm assuming that the brakes will get much larger as you move up in trim levels. And hopefully they add some color to them in the production model. I think these test mules are attempting to be as low key as possible. 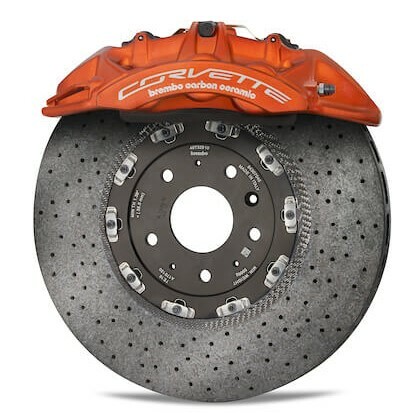 I don't know about you guys but paying for Carbon Ceramic Brake kit like what the C7 is can be optioned with, even at its near $13k price tag, will be even more important on this C8. The standard brakes that GM decides to put on the C8 will heavily be dependant on the powertrain options that they decide on. If the top end model does end up around 1,000hp that's going to require some serious stopping power.